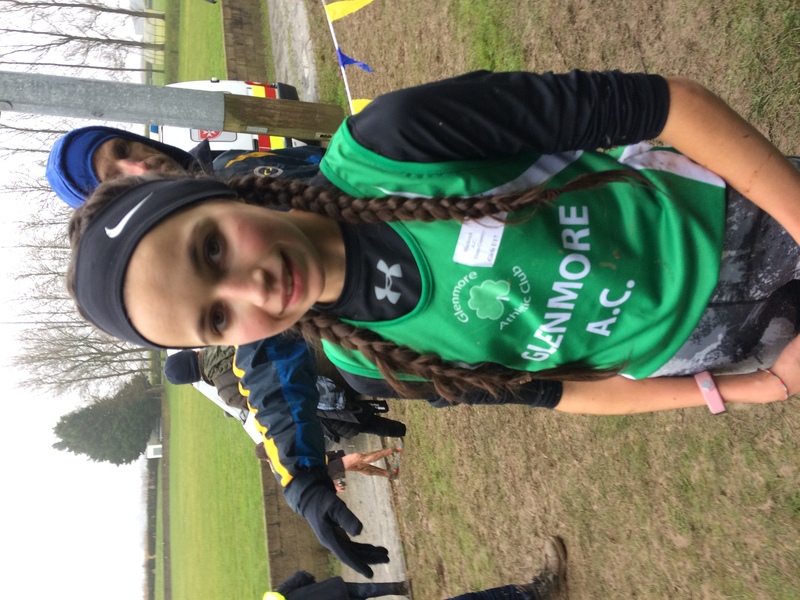 On Sunday last a hardy group from Glenmore AC competed in the annual . 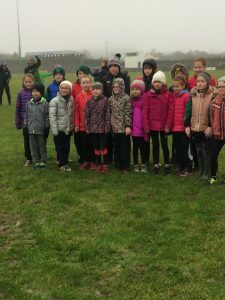 It was true cross country weather but our athletes proved well fit for the conditions on the day. 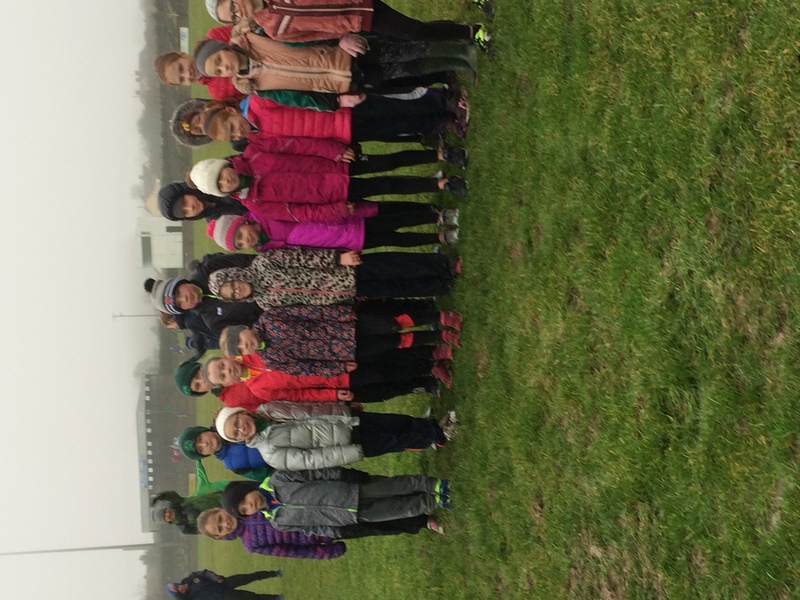 First up were our U9 girls, Zoe White led the field home taking the gold medal followed by team mates Gillian Touhy, Aoife Mc Donald and Aine Finnegan who together took the gold team medal. 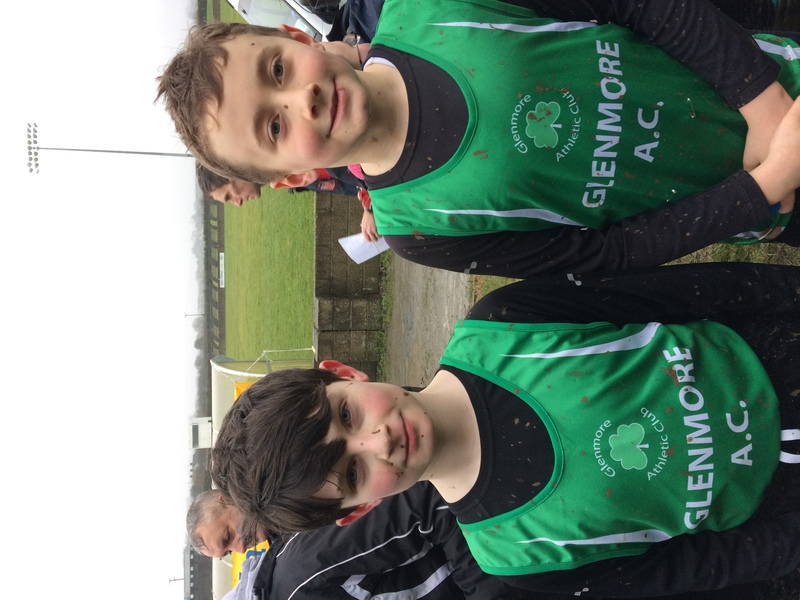 Jack Ives competed in the boys U9 500m, his first event representing Glenmore finishing very strong in his race. 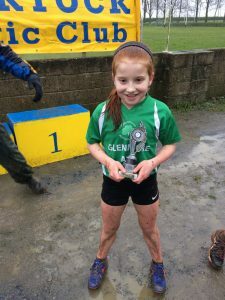 The U11 girls competed strong in the 1000m event with Jessica White leading the field taking the gold medal, Glenmore also took gold in the team event with Katie Mc Donald, Aine Reilly, Eimear Finnegan and Sophie Cummiskey representing the club. The boys U11 team took the silver team medal with fine performances by all, Cian Magee finished in 4th place followed by Elliot Nichols, Craig Touhy and Pierce Mulroy. 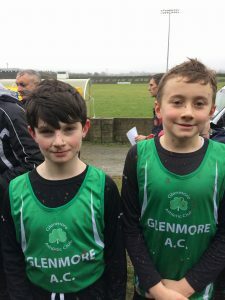 Lucy White and Sarah Mallon ran well in the U13 1500m event albeit outside the medals, Finn Reilly represented the boys in the U13 event with a fine individual performance. The U15 girls took the gold team medal in the 2000m event with Lisa Conlon finishing 4th and leading Ava Brady, Blainaid Murphy and Claudia Mullen home. 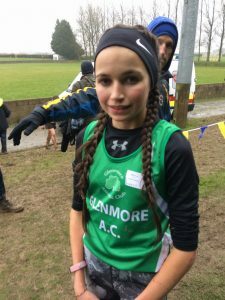 Fine individual performances seen Zofia Mullen take gold in the girls U17 2500m and Katie Mallon take gold in the girls U19 2500m closely followed by Anna Mai Mullen who took silver. 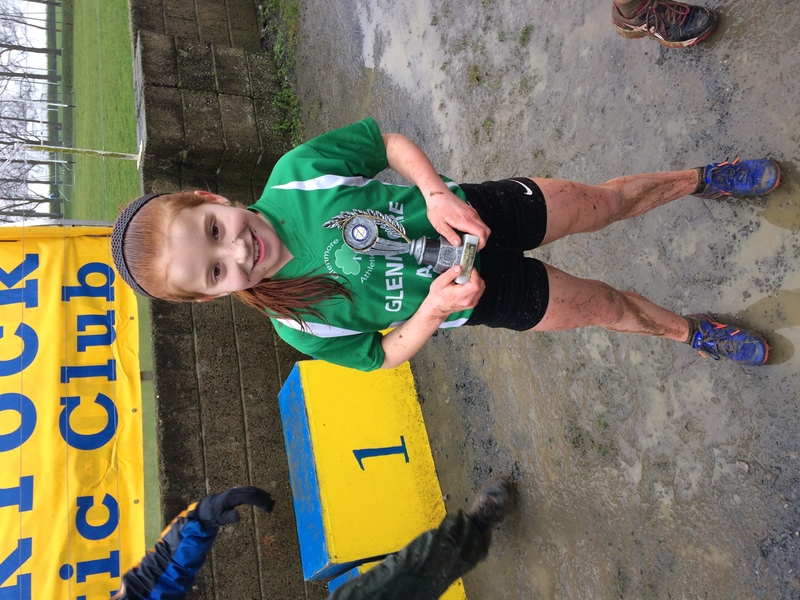 Well done to all our athletes, supporters and parents who braved the elements and to Blackrock AC on a great event. Training continues on Tuesday and Thursday 7.00 at Bush track. A reminder also that 2018 membership is now due.